The Crab Shack is a fun place to eat. Tubby’s Tank House. The deck is perched over River Street and offers unbeatable views of the Savannah River. Misters keep diners cool even on the hottest days. Try the catch of the day, the delectable crab cakes, or the filet mignon, but save room for a piece of pecan pie, baked by Tubby himself every day. 115 E. River Street. Huey’s Southern Cafe. Watch bustling River Street or shipping traffic on the Savannah River as you savor food with a distinctly New Orleans flavor. Po-boys, Gumbo, Muffuletta… if you find yourself pining for New Orleans while in Savannah, head to Huey’s. 115 E. River Street. The Crab Shack. The food is simple and fresh, and it can’t be beat. Dine along Chimney Creek, shaded by live oaks draped with Spanish Moss. You’ll be warm on chilly days and cool on hot days. There’s a waterfall, there’s a lighthouse, and there are alligators. The experience is sure to be unforgettable. 40 Estill Hammock Road, Tybee Island. Zunzi’s. Just minutes from any of our Savannah Vacation Homes, this small restaurant offers tasty food and generous portions for a very reasonable price. 108 E. York Street. Hirano’s South Side. 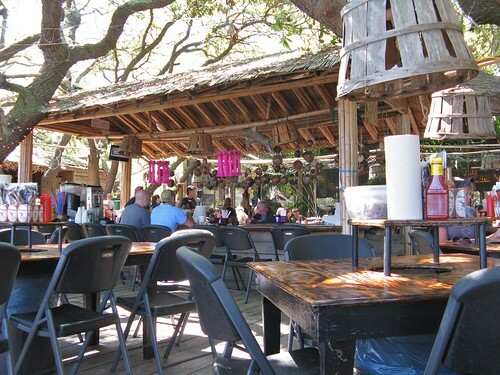 Swing by Hirano’s after a day at Fort McAllister State Historic Park. Pick up a bowl of yakisoba, a plate of spicy chicken, and as much sushi as you can eat. 13015 Abercorn St.